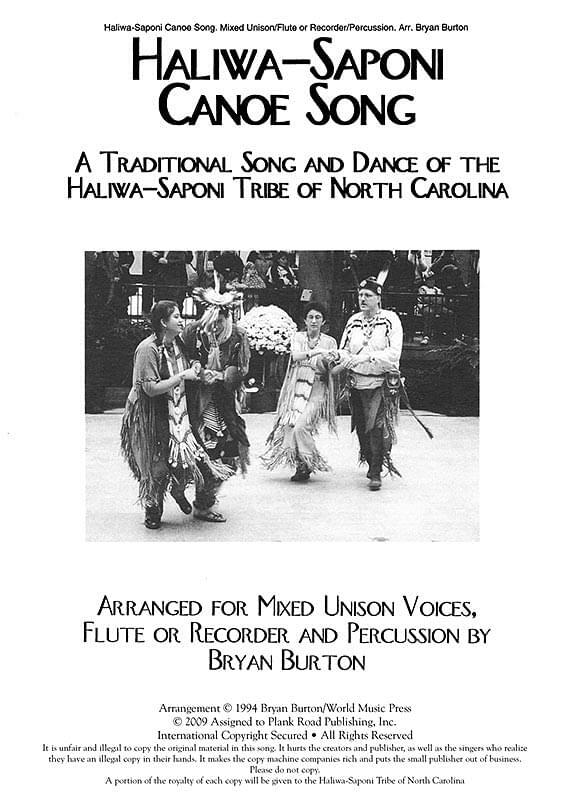 Arranged by Bryan Burton, this is a traditional paddling song of this Native American tribe. It includes dramatic narration of a legend for performance. Recorder/percussion; best with mixed voices.